Let’s play a million ways to lose a game! In case you missed Pitt’s latest iteration of a loss, it was a doozy. 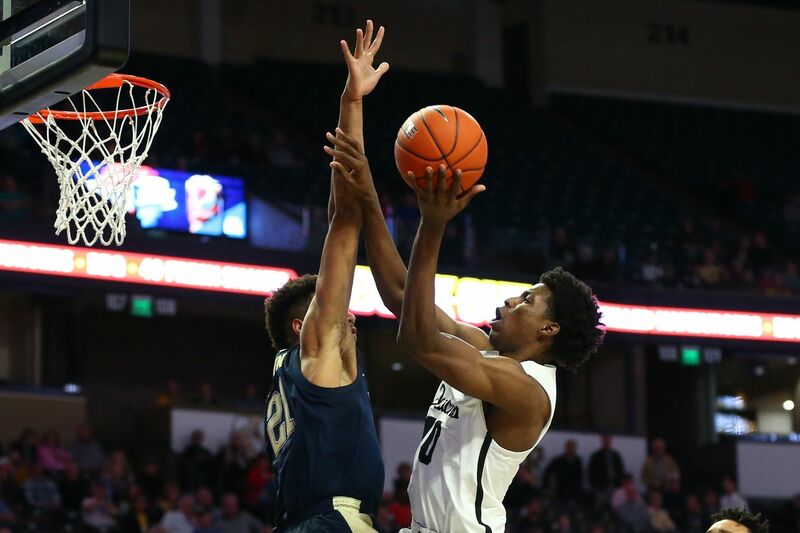 Pitt raced out to a quick lead, quickly lost it, and ultimately was on the wrong end of a back-and-forth affair, losing to dismal Wake Forest on the road, 78-76. I wasn’t too down about Pitt’s other defeats during this losing streak, which has now hit a healthy six games. Some good teams. Some tough road environments. But this one was frustrating because the Panthers didn’t face either. Even more frustrating was, despite a pretty lackluster performance by most of the team, Pitt still had a good chance to win. They led by two late in regulation and had the chance to legitimately put it away before Xavier Johnson missed the front end of a one and one. That opened the door but, even then, Wake didn’t capitalize with numerous offensive rebounds and several ridiculous misses. Unfortunately, Pitt didn’t grab a rebound and Wake had another chance when they batted the ball out of bounds. Wake only managed a bad three-point shot but grabbed yet another offensive rebound and got a putback to send it to overtime. If there was ever a time for Bozo the Clown to make an appearance during a game, that was surely it. That sequence, by the way, helped Wake pad their 18 offensive rebounds for the game. Even in overtime, Pitt had a chance to win. The Panthers had a three-point lead after Jared Wilson-Frame knocked down a three-pointer and then had a chance to extend it to six but JWF missed the second attempt. Wake fought back, knocked down several threes, and ultimately held Pitt off. Some guys had good games. I don’t want to diminish that. Johnson blew the crucial free throw but practically did everything he could with 23 points and nine assists. Wilson-Frame had 17 and shot the ball well. Sidy N’Dir came off the bench with 15 big points and some solid defensive play. Malik Ellison quietly had a good game with eight points and a team-high eight rebounds. But it’s not like everyone had great nights, either. Trey McGowens, in case you’ve missed it, is in the middle of a terrible stretch. He hasn’t been in double figures since the Duke loss and is only averaging five points a game while shooting under 25% from the field in his last four contests. Tonight, he was MIA practically the entire time and finished with only five points. And Terrell Brown put together a dog of a performance, going scoreless in 17 minutes with two rebounds. Brown has been even worse than McGowens lately, with zero points in three of his past four games. You don’t need everyone to contribute. I understand that. But when you lose a road game by two points, any little bit of production those guys could have come up with could have been the difference. McGowens? Whatever. I’m resigned to the fact that he’s going to be a somewhat fluky player in general and he really thrives on getting out in transition and against defenses that aren’t clogging the lane. I’m just really befuddled at what Brown brings to the table. Some nights he looks like an NBA prospect and others, he’s nowhere to be found. I mean, how do you score 16 points on an efficient 8-13 from the field against a legitimately good team in Syracuse and then utterly disappear against one of the worst teams in the league? One game? Well, okay — maybe. But Brown has been a complete non-factor in like half of the games he’s played in. Some of it is a lack of aggression but some of it ... I don’t know. I can’t put my finger on it. It’s almost as if he has to be in the exact right position to contribute at all. Trying to set him up, as Pitt did once after a timeout when they sorely needed a bucket (he missed a shot) seems almost like a fruitless exercise. He just doesn’t play with much confidence and when he’s not making shots, he’s like a shrinking violet. Coaches have to find a way to get him to play with more aggression. Heck, maybe that even starts with him putting on another 15 pounds. Alright, two things before I get out of here. I don’t know what Jeff Capel was doing, but in overtime, he called off the dogs on defense for some unknown reason. Maybe the kids were tired. Maybe he just wasn’t thinking. But Wake was a disaster trying to hold onto the ball all night. They had 18 turnovers and were buckling under the pressure with four turnovers in the last few minutes of regulation. Even on the play late in overtime where Pitt fouled, had they not fouled, Wake was carelessly throwing the ball away. It reminded me of that game against Niagara earlier in the year when Pitt trailed late but Niagara completely buckled and had to hold on for a one-point win. Had that game gone on for another 30 seconds, Pitt probably would have won it by five. Niagara completely folded and, had Pitt pressured Wake a bit more in overtime, I get the feeling they would have, too. Pitt should have been pressing every single possession in OT because Wake had done a terrible job of handling the ball all night. They had 18 turnovers and four in the last few minutes of regulation. It was apparent that they were completely unprepared for the situation and why Pitt let them off the hook in overtime is beyond me. There’s a fine line between trying not to wear guys out, I suppose, but when the offense is struggling so much in the zone, some fast break points is just what these guys need. The defensive intensity in overtime was just lacking to me. The other thing I’m taking away here is Pitt’s offense just curls up into a ball and dies against the zone. We’ve known that. That’s nothing new. But what I found astonishing is that Pitt can indeed crack the zone. If Pitt was incapable of that, it would be one thing. But Johnson completely broke it down in the second half. He was getting to the basket with ease and was a one-man show out there. It makes you wonder where that was earlier and why McGowens couldn’t do that, either. Guys have to start attacking more and, while I know there’s risk there with turnovers and charges, you also have a better chance at getting to the foul line, or maybe even finding an open man down low as they did a few times. Really frustrating game because this was probably the easiest road conference game of the season. Wake wasn’t impressive at all and, while they did play better in the second half, that Pitt found a way to blow this one surprised me. That’s not necessarily sour grapes or piling on Wake because, let’s face it, the Panthers aren’t great themselves. But this was the ultimate coulda, woulda, shoulda and you’ve got to win games like that, plain and simple.